Andrew Phan graduated from RMIT University with a Bachelor of Health Science and Master of Clinical Chiropractic. He has an interest in sports and family chiropractic care where he is involved in multiple sport clubs and communities. When he is not practising, Andrew likes to spend time with his family, playing sports, exploring new areas with his photography, catching up on the latest technology and enjoying music. He is also a member of the Chiropractors' Association of Australia (CAA), regularly attending conferences and training courses in order to stay up to date and advance his skill set for the benefit of patients. 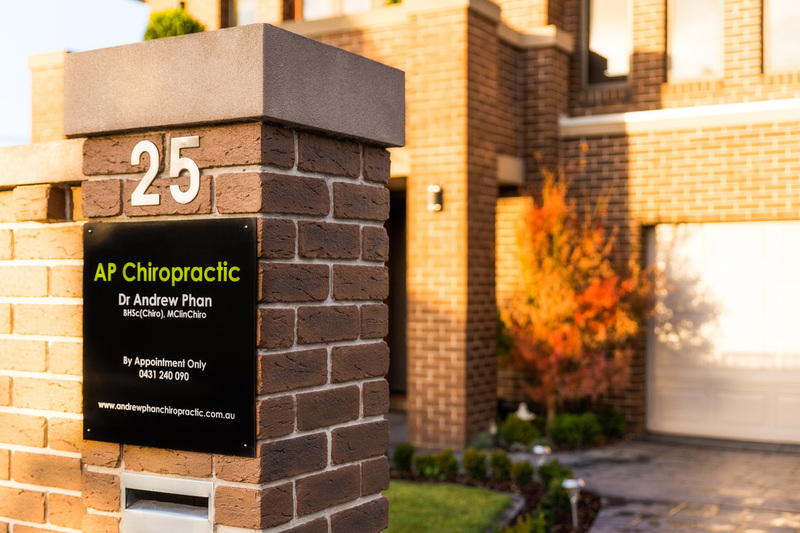 Located at 25 Chessell Street, Mont Albert North, off Belmore Road and a short drive down Chessell Street, the practice is fully equipped with the latest equipment such as a drop piece enabled chiropractic table, an ultrasound treatment machine and TENS machine. This allows us to provide our patients the best in chiropractic treatment.